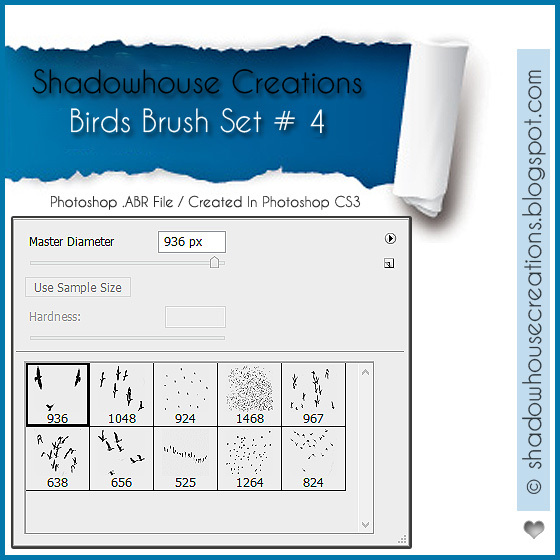 Shadowhouse Creations Birds Brush Set 4 contains ten assorted bird brushes of various sizes. As always, Jerry, I thank you for your gracious sharing of your talents!!! Jerry, thank you so much for your kind generosity and sharing your amazing talent!